Thank you very much, Kim, for hosting me today. 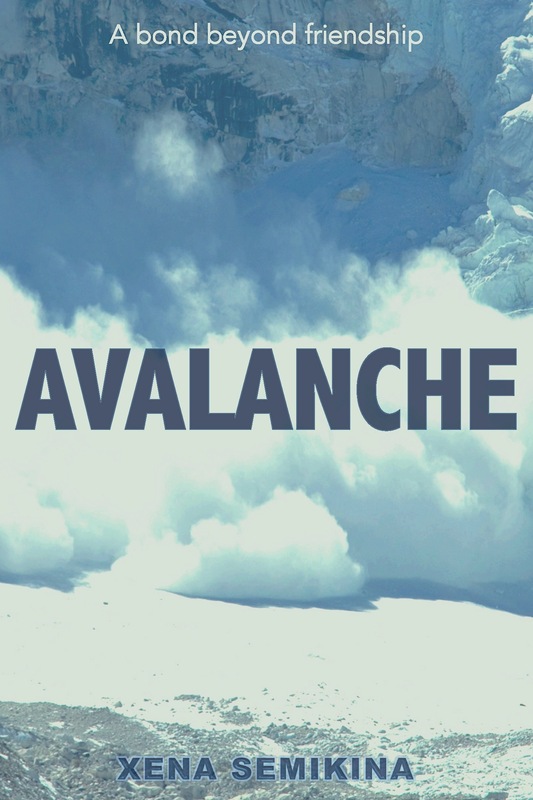 It’s the second stop of my blog tour for my book Avalanche. As before, I will start with a short blurb to introduce my book to those who are joining us for the first time and then I will move on to today’s topic. This is a novel about friendship, maybe in its unusual, extreme form. The two main characters, Mike and Nick, meet in the Alps on a scientific expedition. They become very close, but struggle to place their relationship in the context of their lives. They fear that the bond between them will not survive outside their research hut, and that the outside world will present challenges impossible to overcome. But then a tragic accident changes their lives forever… This story is an investigation into the nature of ties between people, the limits of loyalty and the power of conventions. This story is an enquiry into the nature of affection between people. I take friendship as the starting point, because this is the only type of relationship between two unrelated individuals where affection exists in its unadulterated form – free from sexual desire. This is a type of relationship where the two parties don’t look at each other as a means of sexual gratification, or in other words a means to an end. This is the second stop of my blog tour and this is the one where I will try to answer the age old question – what is stronger love or circumstances? I will actually try to argue that right circumstances are absolutely paramount to spark affection between two people in the first place. It seems that in the real world it’s not enough to be ‘meant to be together’. It requires a certain set of circumstances (and the first meeting being one of those) and a considerable effort on both sides for the feelings to flourish and develop. In this book my two main characters meet on a scientific expedition and the first part of the story is set high up in the mountains, where there is nothing much, but the snow all around. This setting was chosen quite deliberately and meant to detach my characters from the complex environment they were surrounded by in the real world, to bring their minds to a near blank state before they could start writing over them from scratch. That seemed to be the only way they would be able to accept what was going on between them. They are away from their families and their routine activities. There’s no one here to question their attachment to each other. They are together most of the time, simply because circumstances warrant it. They sleep in one small room. They work in the house they sleep in, almost always doing everything together. Very soon they begin to complement each other perfectly and rely on each other in everything. And the attachment between them becomes so strong that eventually every separation gives them considerable anxiety and makes them question the source and most importantly the validity of their emotional dependency. They are almost painfully aware that nothing of the kind could have happened to them back home, and they fear to go back there, being unable to imagine how this form of attachment can adapt to the world outside. At this stage they are prepared to fight for their relationship, but they don’t know where exactly the danger is coming from… That until the time they see it right in front and they are absolutely unprepared to face it. Have you ever forged a bond with someone away from your familiar environment, on a holiday or a work trip? A bond you didn’t believe would survive once you’re back home? Do you agree that finding a soul-mate is only half of the quest? Avalanche is available on Amazon US at $2.90 – http://www.amazon.com/Avalanche-Xena-Semikina-ebook/dp/B00J2XS6FC; and on Amazon UK at £1.81 http://www.amazon.co.uk/gp/product/B00J2XS6FC. ePub is available at the Apple store and Kobo at £1.99 and the equivalent in $ (sorry, don’t know the exact price as I have never caught a glimpse of the US respective stores). Xena is a novelist and a lawyer in criminal practice, with a distant background in computer science. Writing has always been her passion, which she has been pursuing actively for well over a decade. She has written four novels and has published one, entitled Avalanche. She lives in London with occasional trips to the South of France and the North of Russia.